Commercial heating and cooling are essential for nearly any business owner. After all, what’s more, important than keeping your property comfortable for your customers, staff, and vendors? At Cote’s Mechanical we offer a comprehensive selection of cooling and heating services to meet all of your installation, repair, and maintenance needs. Commercial services require a different level of expertise than residential A/C systems do. Commercial equipment is usually larger and more complicated to set up or repair. Here at Cote’s Mechanical, we’ll work with you and your business to create a commercial HVAC solution that is affordable and will meet your needs today and in the future. Heating and cooling for commercial buildings may be even more important than it is for residential customers. Not only are you trying to keep your staff comfortable, but you may have thousands or more in inventory and equipment on hand that you have to keep at a stable temperature. And of course, you want to make your property inviting for customers. Because of this, it is vital that you are proactive about keeping your heating and cooling system in good working order. One way to do this is by scheduling regular maintenance on all systems. Regular maintenance may save you money each month on your energy bills and it can help you find some small problems before they turn into big problems. 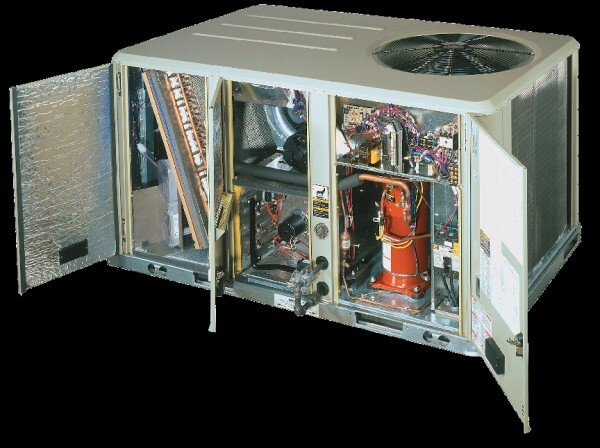 A commercial air conditioner is much larger and runs much harder than a residential A/C system does. Because of the size and power involved in a commercial A/C system, it is important to have the machine installed, repaired, and maintained by a company that is experienced in such matters. Before you allow a company to work on your system, ask about their experience working with commercial equipment. Another concern for business owners is getting repairs taken care of quickly. That’s why having an emergency A/C company on speed dial is vital. Cote’s Mechanical offers 24/7 emergency repairs. Give us a call anytime with your repair issues, and we will respond quickly. We know that cooling for commercial buildings is a top priority for business owners just like you. A commercial heater must have the power necessary to heat a large building. When something goes wrong, it requires a professional with experience working with complicated commercial systems. Here at Cote’s Mechanical, we are highly experienced with commercial heaters and HVAC systems. We work with business owners with properties of all sizes. Our technicians are NATE-certified and comfortable working with the largest jobs. Whether you are looking for a tune-up, repair, or you are ready to replace an older system with something newer and more energy-efficient, we can help. You can feel confident in our commercial HVAC expertise. Part of the commercial HVAC installation and maintenance process is ductwork installation and cleaning. Before a commercial HVAC system can be installed, ductwork must be run from the main unit (blower) to all areas of the building where air needs to be distributed. Ductwork and vents should be installed by an expert because the smallest mistake could lead to leaks, decreased performance, and higher utility bills. Additionally, after a few years of heavy-duty use, you should get your ductwork cleaned. Dust, hair, dirt, and even mold and mildew can build up in the ductwork, leading to decreased air quality and performance. By having an expert from Cote’s Mechanical clean your ducts, you can enjoy higher air quality and better HVAC performance. Plus, we’ll be able to find and repair any issues before they get worse. If you have any questions about the commercial HVAC and air conditioning services offered by Cote’s Mechanical, give us a call today. We look forward to hearing from you soon.